Through his personal experience, Eric Edson believes having access to an extensive library of screenwriting resources is critical to the creative process. When deadlines are looming these resources can make all the difference. In this post, we will discuss Eric Edson’s five favorite online screenplay libraries, each of which provides an active database of screenplays and scripts, along with effective tools for screenwriting and TV writing professionals at all levels of skill and experience. SimplyScripts offers links to hundreds of free, downloadable scripts, movie scripts, screenplays, and transcripts of current, classic and maybe a few soon-to-be-released movies, television, anime, unproduced and radio shows. This website is a powerful screenwriting resource, with easy navigation among the various key topics. Each of the topics—Movie Scripts, TV Scripts, Unproduced Scripts, Radio Scripts, Anime Scripts, Oscar Scripts, Treatments, Plays, Musicals, Non English Scripts, Discussion Board, Movie Reviews, Unproduced Script of the Day—has its own navigation button at the top of the Home page, so writers can quickly and easily find exactly what they need to do research for their creative writing project. For screenwriting tips, the Movie Scripts, TV Scripts, and Oscar Scripts sections are the most useful. Within each of these areas of the site, there is a multitude of expertly crafted material for TV writing that will inspire and educate the aspiring screenwriter, and will provide even the most seasoned writer with the latest works that are achieving success. These tips can be especially valuable for those trying to overcome writer’s block. The Movie Reviews section is a great resource as well. TV writing professionals can benefit greatly from understanding the current views of critics. The scriptwriting business is a moving target, so it is important to understand these views to identify current trends and themes, possible pitfalls, etc. The Store tab provides a wide selection of screenwriting books, screenwriting courses, screenwriting tips, books on how to sell a screenplay and much more. Prices are reasonable and competitive with other online bookstore sites, such as Amazon, and the variety and selection is impressive. To visit the SimplyScripts website, click here. Drew’s Script-o-rama is valuable resource for the screenwriting and TV writing professional, offering multiple versions of scripts in various forms of completion, including first drafts, second drafts, shooting drafts, revised drafts, revised final drafts, shooting scripts, production drafts, and more. By reviewing these drafts, screenwriters and scriptwriters can understand the journey a screenplay or script takes, from first draft through the entire development cycle, to final draft and into production. Reviewing and understanding the nuances of the changes that take place throughout this process provides a unique set of screenwriting tips and techniques that are highly effective for polishing your craft as a true storyteller. This website also offers a forum for posting new works to gain exposure. While the likelihood of being “discovered” through this or any online medium is questionable, this is a great place to view the screenwriting and TV writing skills of other writers. For the less experienced, aspiring writer, this can be a fantastic resource for comparing the quality, sophistication, and impact of their work against other writers at the same or similar level of skill and experience. To visit the Drew’s Script-o-rama website, click here. Screenplays for You is a free website providing a wide variety and large number of high-profile scripts and screenplays. The website is bare-bones in format and visual appeal, but is organized logically, with an alphabetical index at the top of the screen for ease of navigation. 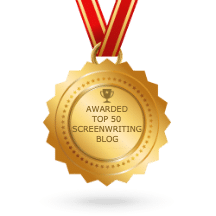 The Home page offers the most recently added screenplays so frequent visitors can quickly scan these to find those that fit their specific screenwriting or TV writing needs. 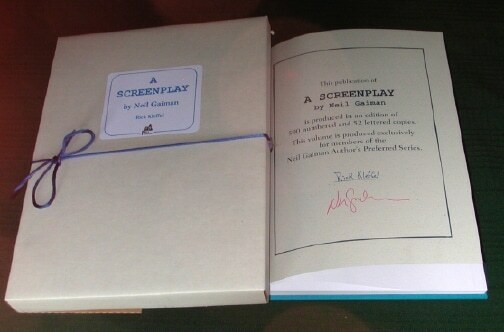 To visit the Screenplays for You website, click here. The Daily Script takes a unique approach to providing content of interest to screenwriting professionals. Each day a single screenplay or script is featured on the Home page of this website. Most are presented in html format, although some are in .pdf format, requiring Adobe Acrobat Reader (which can be downloaded free of charge). Each script or screenplay is featured in a specific draft version, so that visitors can review the draft in the context of its stage of development. This is a powerful resource for screenwriting professionals looking to fine-tune their understanding of the individual phases of screenplay or script development. This website also offers movie scripts, TV scripts, and links to other screenwriting and TV writing resources, screenwriting tips,screenwriting courses, screenwriting books, resources on how to sell a screenplay, and much more. To visit the Daily Script website, click here. The Internet Movie Script Database offers the largest selection of movie scripts on the Internet. The Home page is formatted clearly to showcase new additions to the site. There are also easy navigation indexes along the left side of the Home page, where visitors can search for screenplays by alphabetical order and by genre. There is also a separate index section for TV scripts. The site also offers a chat area and a comments area for those who wish to interact with other screenwriting and scriptwriting professionals. Within each genre, individual scripts are described by the type of draft/level of development, to help the professional easily navigate to those screenplays and scripts that most meet their requirements. As stated above, there are a large number of screenplays and scripts in each genre—typically hundreds. Screenwriting and scriptwriting professionals should find a wealth of information directly applicable to their unique interests on this site. To visit the Internet Movie Script Database website, click here. While there are many websites offering information on virtually every aspect of the screenwriting and scriptwriting process, Eric Edson finds these five to be the most useful. Each provides a slightly different focus and format, but each offers unique features and information that will be of interest to screen and script writers alike. By using these resources and incorporating the latest trends, styles, themes, and the finer details of the draft development process into your arsenal, you should improve your skillset, and your ability to effectively pursue contracts. Eric is constantly working to improve his craft and these five websites have certainly helped him and will continue to help him in the future. I had visited the 3 websites and found plenty of helpful thoughts as writers, like screenwriting tips and techniques. This is really a great help. Writing could take up quite a long time especially if the topic requires investigation. Thanks for sharing the websites. These would help a writer finish the script before the deadline. This is a a very helpful web site for screen writers and storytellers. Thank you for these online screenwriting resource tips. You know, I sure wish I would have run into this article a few years ago, because being a part time screenwriter who is not really plugged into that community, I don’t have a lot of resources when it comes to getting help with ideas for some of my writing. But hey I’m glad I have got this link now and can use all these sources for years to come! I am learning so much from this site. When you want something in life , you have to have the right tools and this is the right tools for writers. Thank you Eric Edson for these valuable tips. Who better to help us budding writers but you! By narrowing down these resources, you have given us focus. 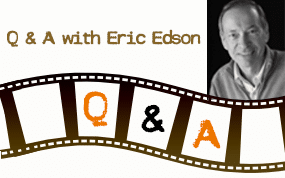 Eric Edson makes screenwriting easier than anyone could think of. By presenting his five favorite online screenplay libraries, any writer does not have to dig through a whole mine of databases to get his or her writing work done. 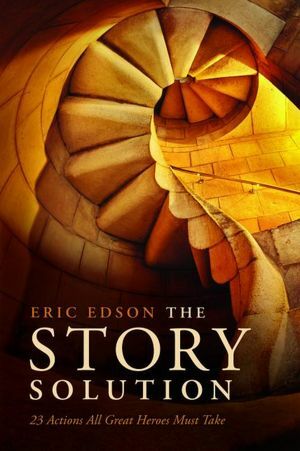 Eric Edson is practically “the story solution”. This is just what I needed. Thank you Eric for your wonderful tips. I’ve always been looking forward to on your next post, and this is what I’ve been waiting. Great! Taking the time to talk about things like understanding the importance of drafts and the many phases a script goes through are invaluable to struggling writers. That is one of the great things about screenwriting – you know you want perfection, but this article and Eric Edson’s tips and links let us know that the pressure can be dealt with, and can be a good thing. The other great thing is the acknowledgement – to be a great writer, you have to read a lot of books. To be a great screenwriter, it helps to read a lot of screenplays! I got hooked up with IMSDb.com because of where it archives film and TV information from all around the world and indeed this blog was right in highlighting the site as one of its top choices for those who wish to expand their skills and knowledge in creative writing like screenplays. The Daily Script is cool. By studying the phase by phase development of the drafts, you can learn how to eliminate clutter and speed up or give emphasis to a particular action in your script. This is such a wealthy resource center for writers. It makes research work a little easier for screenwriters. Budding writers will benefit a lot from these libraries, too! Writing can be so frustrating for amateur screenwriters sometimes and these libraries are heaven-sent during those times. Tips and this article by Eric Edson highlight the challenges faced by screenwriters and how these libraries can help. Absolutely, Eric Edson has provided in this post a beneficial resource for screenwriting and TV writing. Among the five online screenplay libraries, The Daily Script is the one that interests me for it offers an interactive feature making writers involved in a fun yet comprehensive evaluation of every aspect of screenwriting. “When deadlines are looming, these screenwriting tips and resources can make all the difference.” Yes, so true! With every script or screenplay that I work on, one of the things that I can’t do without – with or without a deadline and its dark clouds hovering over my head, is resource. And I’ve always been on the hunt for good ones that can help keep my creative juices flowing while at work. And these here are a goldmine of screenwriting tips and resources. Learning is indeed a continuous process especially for professionals who are always required to have unique and innovate concepts. Hence, writers should persistently gain knowledge and skills in script writing and screenplay writing. Thank you for this practical and efficient resource!